The rate of Egypt’s long-delayed Value-added tax (VAT) has been set at 14 percent instead of the previous rate of 10 percent as parliament iis set to discuss the new law, finance minister said on Tuesday. The VAT was previously set at a flat rate of 10 percent, according to the country's Sustainable Development Strategy for 2030 website launched in February. Minister Amr El-Garhy said at a Cairo press conference that the average rate of VAT globally is set between 15 percent to 18 percent. “The VAT is considered as a consumer tax, which means who consumes a lot will pay more,” El-Garhy said. The minister said that VAT may lead to price inflation ranging between 0.5 percent for low-income Egyptians and up to 2.3 percent for the upper class. The ministry listed in May 52 commodities and services that will be exempted from VAT including all essential food goods and dairy products, in addition to baby formula and their nutritional supplements. However, El-Garhy denied that VAT will cause fuel price hikes or put additional tax on cars as reported, confirming that the new levy will replace the currently applied sales tax. He added that production direct and indirect inputs will be deducted from the new tax bill. 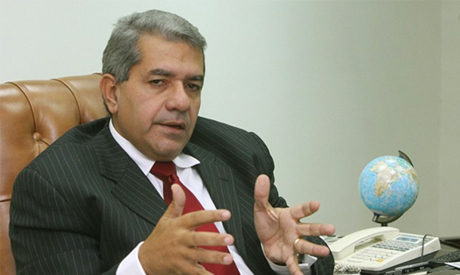 According to Amr El-Mounir, the minister’s deputy for tax policies said that some commodities will see higher cost such as alcohol and molasses. “We are still discussing prices of cigarettes and tobacco with companies to reach a compromise,” El-Garhy said. Egypt's government hopes to raise tax revenues by around EGP 25-30 billion upon the implementation of the new tax.